The festival's outdoor stages will not be opening on the Thursday, according to the licence proposal submitted to Mendip District Council. All outdoor stages are due to open Friday on the same schedule as previous years. Local press reports had led many to believe the Park Stage would be opening Thursday. An exception is expected to be made for the showing of England's final group game in the World Cup, against Slovenia, at 3pm Wednesday on the Pyramid stage. The licence does however formalise the early opening of indoor venues in the Park area such as the Stonebridge and Park bars. These have previously hosted sing along favourites Baggy Mondays and Sean Rowley's Guilty Pleasures as part of the Thursday night build up. The new licence proposes a 3am finish in the Park area, to act as a focal point for festival goers looking for entertainment before the main performance schedule starts on Friday. 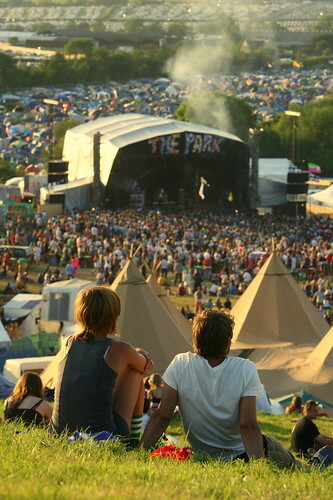 In 2008, festival goers jammed The Left Field tent for a Thursday performance by the Levellers, and in 2009 an even bigger crowd flocked to the Queens Head for an early gig by Maximo Park, causing heavy crowding in the area around the venue. The period for public comments on the proposed licence closed yesterday - a decision is expected in March.